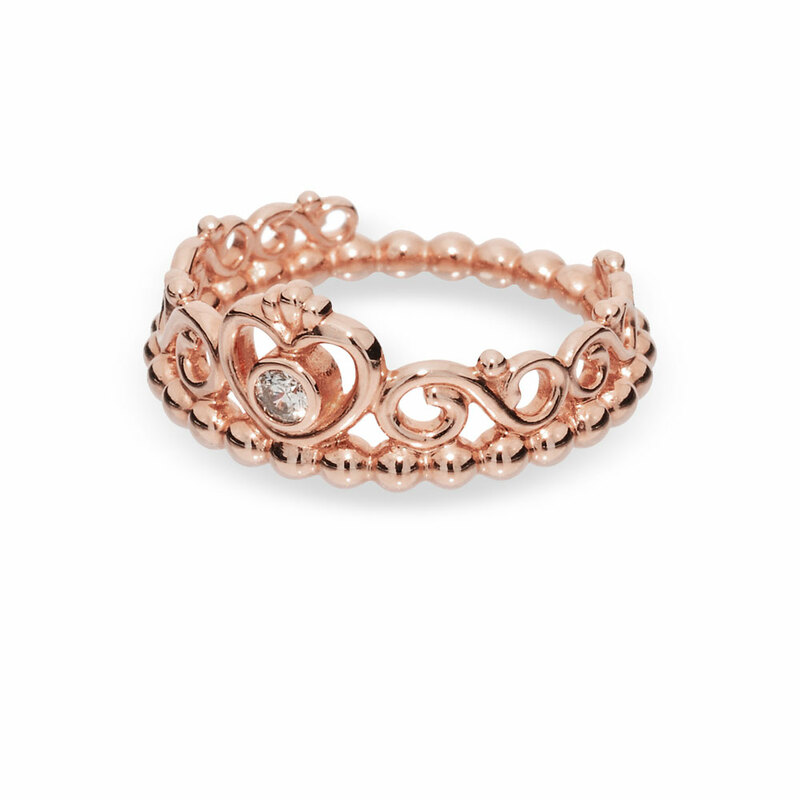 PANDORA Rose My Princess Tiara Ring is rated 4.4 out of 5 by 179. Rated 3 out of 5 by val1 from Pretty at first At first the ring looks very beautiful and classy, but after time the color (rose gold) on mine started to chip and now the ring does not look nice. Rated 1 out of 5 by steph121890 from turend my finger green Had it for over a year, the edges worn away and then turned my finger green so it is not rose gold AT ALL. Rated 5 out of 5 by Carol67 from Great customer service/Beautiful I bought this ring online for my daughters birthday. It is absolutely beautiful. She loved it. However, I ordered the wrong size. We took it to the Independence Mall store in Independence, Missouri and had a very pleasant experience on August 22nd. The two ladies working there that evening were pleasant and very helpful in helping us find the correct size. I would certainly feel comfortable buying online again since I can depend on getting superior service at the local store if I receive something that needs to be exchanged. Rated 5 out of 5 by Tanein from Gorgeous ring My 15yr old Son bought this ring for his girl friend for Valentines Day! Extremely sweet! Rated 5 out of 5 by Danielle03 from INLOVEEEEEE ! My sister bought me this ring a year ago and it still shining as if I just got it !